We ended November with a total of 133 deaf dogs sponsored into rescue. In the month of December we sponsored another 12 deaf dogs into the safe harbors of rescue where they will go into experienced deaf dog foster homes to decompress, be loved and get healthy. Each foster home will start ASL sign training, potty training, crate training, daily socialization and properly evaluate each dog so they can help each dog become a confident canine. 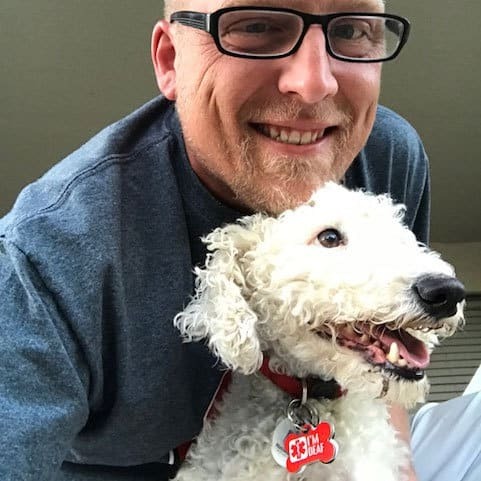 By really getting to know each dog/puppy, the adoption coordinators will properly screen each potential home to make sure the adoption process will be a good match, set the family/deaf dog up for success, and continue to build a strong community and foundation. What a great year! 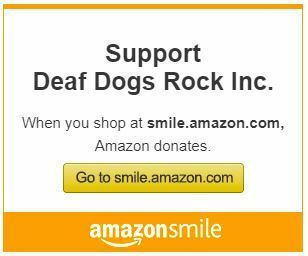 Going from sponsoring 110 deaf dogs into rescue in 2016 to sponsoring 145 deaf dogs into rescue in 2017 (34% increase) is truly amazing and we are so thankful for the support we receive from our Deaf Dogs Rock Community. Without you sending in support in the form of donations we would not be able to help as many deaf dogs as we do so thank you, thank you, thank you! We wish you all a very blessed and happy new year in 2018. We are always happy to work with Harriet over at Red Hook Rescue. She is a deaf dog advocate and extraordinary rescue warrior woman. In December deaf bully Ranger was pulled to safety by Red Hook Rescue in Brooklyn and sponsored by our Deaf Dogs Rock Rocker Puppy Program. When we saw the a shelter photo of Kevin and a plea from the shelter for a rescue to help Kevin because he appeared to have been hit by a car, we reached out to Andrea at Speak For The Unspoken (OH) and shared Kevin’s info with her. We also offered a rescue sponsorship through our DDR Rocker Puppy Program for Kevin if Speak could make room. Speak pulled Kevin and he had surgery on 12/04/17. Kevin is doing great, and thank you for the donation!!! We had to amputate his leg, unfortunately, because of the multiple breaks, the fact that his entire hip was broken and that it had been some time since the leg was broken (chronic). But it has not impacted him one bit! He is doing just fine. His foster says he is unbelievably smart, learned how to go in and out by himself through his doggie door, even with his cone on….he is certainly a sweetheart. Thanks again. I will try to tag you on the foster’s post so you can see him…. Our Deaf Dogs Rock community sent in a donation to Wings of Rescue to keep their airplane transports going to move 1500 pets taken in after the ravaging fires in California to be able to purchase crates and gas for transports. Thanks to Speak for The Unspoken St Louis for pulling deaf dog Blue out of the shelter. Deaf Dogs Rock was happy to assist in the form of a financial sponsorship to help with vetting for Blue. Sweet deaf puppy Kara was taken to Speak For The Unspoken (Ohio) Rescue where she will go into foster care and start her socialization, potty training and sign training while potential homes are being screened so they can find her the perfect match. Thanks to iRescue in Texas for rescuing two year old Guardian who will need to be neutered before he is available for adoption. 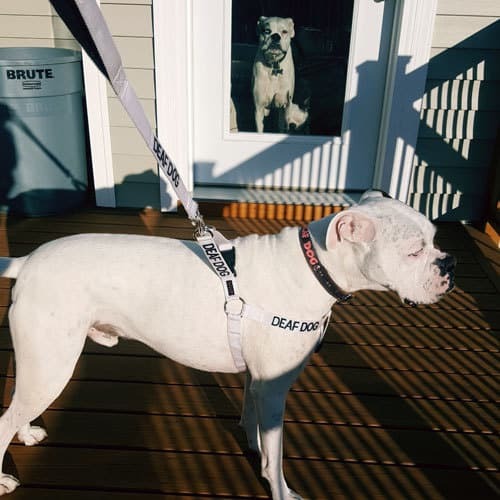 Deaf Dogs Rock always wants to make sure all the deaf dogs and puppies we sponsor are spay/neutered before they are available for adoption (unless there are breed circumstances where it may be detrimental to the dog’s health). It almost feels like spring time because we are getting so many shelters and some breeders who need assistance with getting deaf puppies into our Deaf Dogs Rock Rocker Puppy program. This month we had a lot of requests and we were very lucky Green Dogs Unleashed here in Virginia had open deaf puppy foster homes available so the fosters can begin socializing each deaf puppy, taking the puppies to puppy training class, teaching the puppies new ASL sign commands, potty training, crate training and getting all their vetting done so they will be ready to go to their forever homes in the near future. Five puppies were sponsored into Green Dogs Unleashed in the month of December through our Deaf Dogs Rock Rocker Puppy Program. Below are some photos of the lucky recipients. Sweet Polar Bear came all the way to Green Dogs Unleashed from Texas and we are so happy his flight went well. 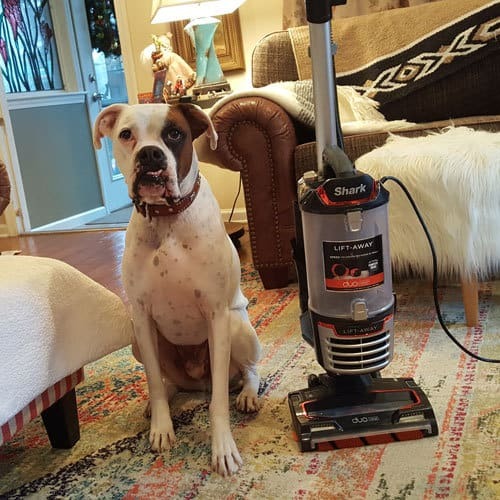 A big shout out to Caroline Walker Trulock with Almost Home Pet Rescue – Houston Texas for contacting Deaf Dogs Rock, asking a lot of questions to make sure Giselle and Zepplin where heading to the right organization to set them up for complete success. Not only did Caroline and her board do their due diligence in checking out both Deaf Dogs Rock and Green Dogs Unleashed but they made sure both puppies where flown to Virginia on the safest flight they could find and they also financed the flights so this helps Deaf Dogs Rock sponsor their spay/neuter before they go to their new homes. Zeppelin was also supposed to be on the same flight from Texas but he got bumped to the following day. Although it was a very long day to get him here to Virginia safely and is now his new foster home. Thanks to GDU for getting these two little ones safely into rescue and into foster care.